Famous for its cheery plastic figurines and lifestyle-based play kits, Playmobil has often done some pretty cool automotive-based toys since forming in the Seventies. 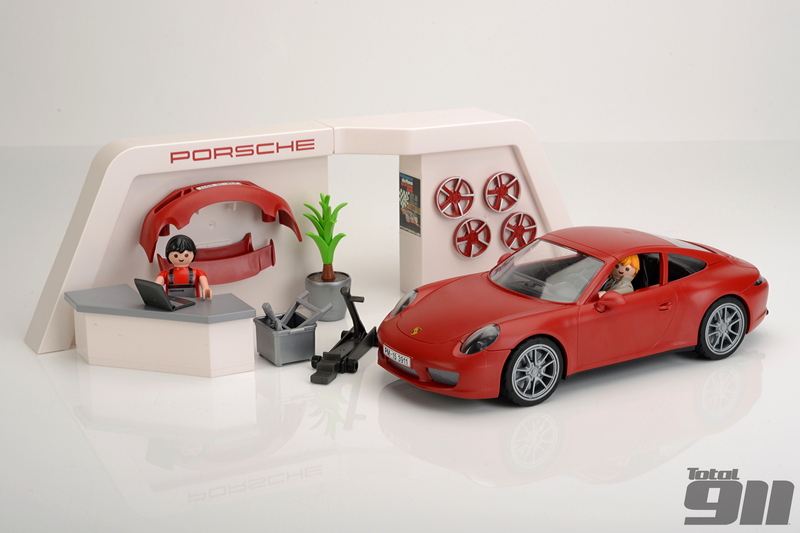 Its new tie-up with Porsche though has seen the German toymaker produce undoubtedly its coolest curio yet. This new Porsche 991 Carrera S set is officially launching in the UK in January. However, fear not. Certain suppliers have already received their kits and are taking orders in the run up to Christmas. For £29.99, Playmobil’s 911 Carrera S (part of the ‘City Life’ series) includes a Guards Red 991 along with a Tequipment-style booth where the roughly 1:18 scale plastic car can be customised to your heart’s content. Yes, that’s right. Not only can the Playmobil Porsche 911 be quickly converted from Coupe to Cabriolet form (and vice versa) but there is also an Aerokit Cup package and body coloured Sport Techno wheels to fit, if you so wish. While not purporting to be a fully accurate representation of the real thing, the level of detail is pretty impressive, with a five-dial dashboard inside and a real (albeit miniature version) Porsche Le Mans poster for the service desk. What’s more, after popping three AAA batteries into the compartment in the floor, the front and rear lights can be illuminated (along with the dash dials), allowing your young one’s playtime to continue after dark. For more Christmas gift ideas, pick up the latest issue of Total 911 in store today and turn to page 18. Alternatively, order your copy online for home delivery, or download it straight to your digital device now.